Established in 1983 with a gift from Hugh Cullman '42, the Cullman Scholarship Program supports students in off-campus study opportunities. 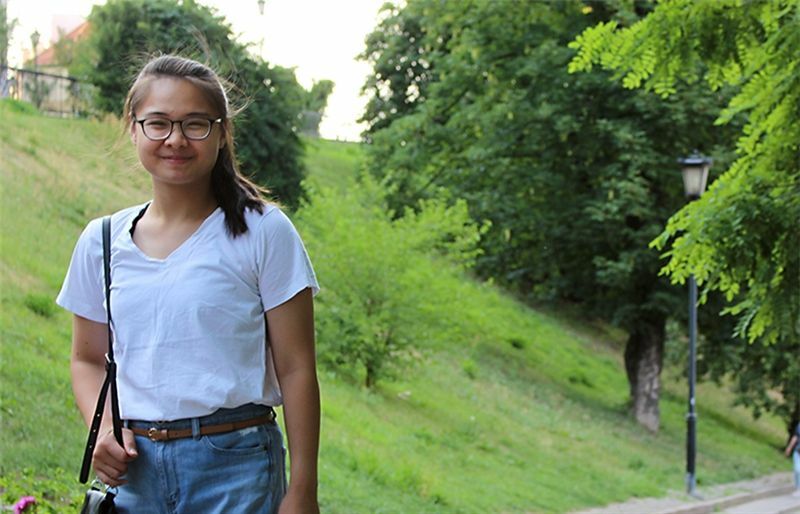 During the summer of 2018, nine scholarship recipients pursued courses of study ranging from a Spanish Language and cultural immersion in Mexico City to volunteering at a Buddhist Temple in Southwest China. Recently, Alice '19 gave a presentation at All School Meeting about her Cullman Scholarship as a medical intern in Warsaw, Poland. I completed a three-week medical internship in Warsaw, Poland with the Centralny Szpital Kliniczny MSWiA Hospital to gain deeper insight into the medical field. I shadowed doctors and surgeons on their rounds and also observed surgeries in urology, cardiovascular, and neurology. On the weekends, I spent time visiting local landmarks and enjoying Polish culture. This trip taught me that regardless of the language we speak, we all share fundamental values and passions. At the beginning of my internship, I was challenged by broken English that bewildered me into silence. However, as time passed, I was able to communicate with my mentors and get around easily. They guided me with wholehearted patience, allowing me to become a part of a medical community that worked effectively. I am grateful to the Cullman family’s support for this wonderful opportunity and memorable experience. Thank you, Alice, for sharing your experience and stay tuned for more Cullman Scholarship news.